View of Mount Rinjani taken from the crater rim. Last month we made a trip to Mount Rinjani which is an active volcano and one of the highest peaks in Indonesia, located on the beautiful island of Lombok. 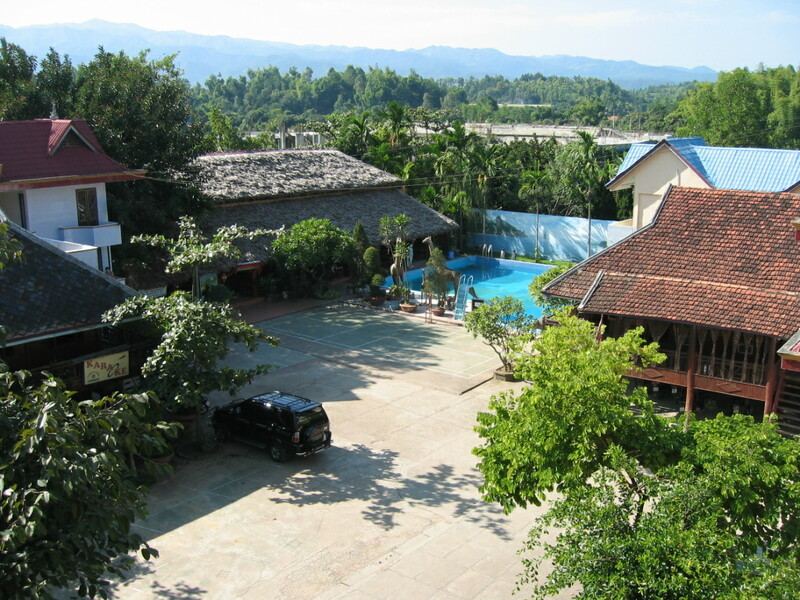 The trip was booked through Pac-West, a Singapore-based adventure travel agent who we have found to be reliable in the past. Their local agent on Lombok, Lombok Network, made all the arrangements and supplied the guides, porters, camping equipment and food. They did a great job and our guide Mr. Soon, and his team brought us safely to the summit and back. 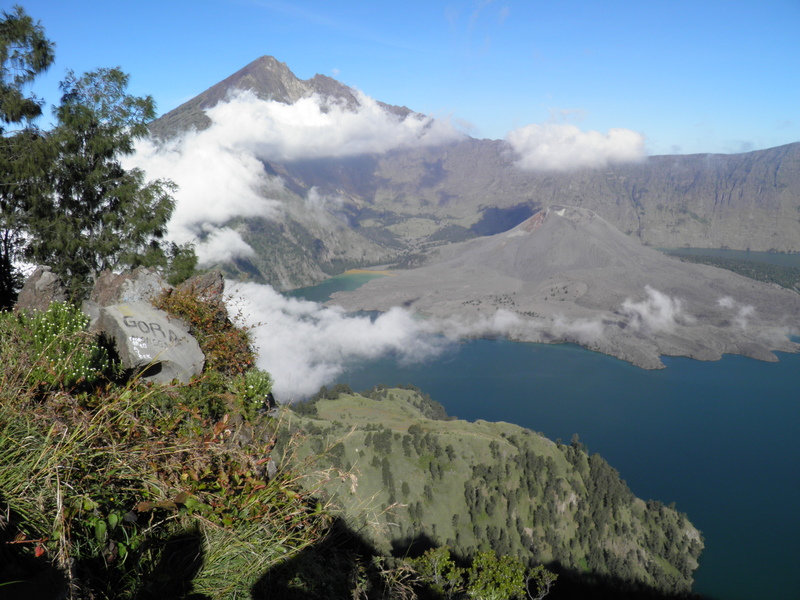 The trek took 3days and we spent two nights camping at sites around 2,600m on the crater rim which provided magnificent views of Mount Rinjani (3726m) and, far below, of the huge crater lake known as Segara Anak Lake. Rising out of the lakewaters was the smouldering cone of the volcano itself emitting a constant cloud of grey steam and ash and, from time to time, rumbled angrily. – Day 1. We entered the Gunung Rinjani National Park via the Rinjani Trek Centre near the village of Senaru about 2 hours drive from the main tourist area of Senggigi Beach. We hiked uphill for about 5 hours through rain forest before emerging above the tree line (and above the clouds) for another 2 hours walk across grassy terrain. Arriving on the lip of the crater about 5pm we enjoyed the fantastic view of Rinjani while the porters set up camp and prepared dinner. The porters start to put up the tents before the light fades. – Day 2. 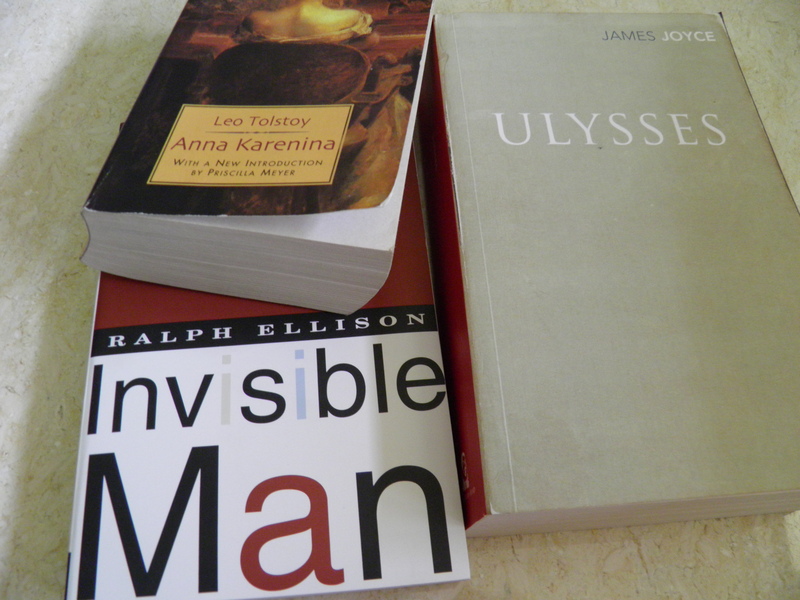 A down and up day. We descended the steep slope from the crater rim down to the lake. 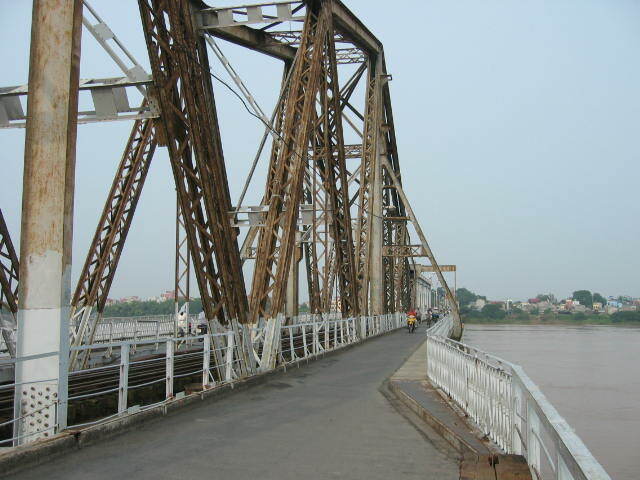 We heard that the previous week an Italian tourist had fallen to her death on this stretch. At the lakeside, the brave took a dip in the icily cool and clear water followed by a soak in some hot spring pools nearby. After lunch we climbed to our second campsite on the crater rim at a location closer to the base of Mount Rinjani. The route was steep and tiring. Another early night to prepare for final push to the summit. – Day 3. Up at 2:30 am and wrapped up in our warmest clothes, we strapped on our headlamps and began our climb up Rinjani in high spirits. Unfortunately it was very windy, bitterly cold and damp as we rose into the clouds. 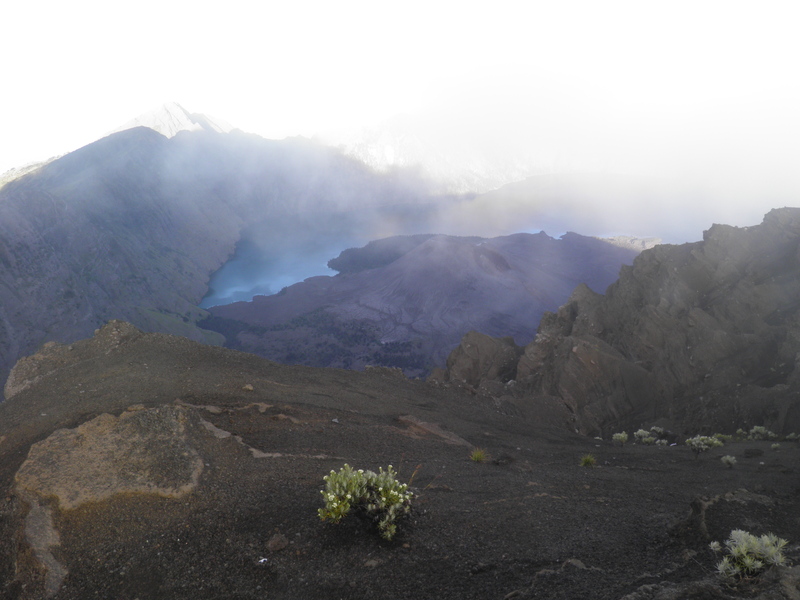 Our guide admitted that this was the coldest he had ever been and he had climbed Rinjani more than 100 times. The final 1000 meters was basically a huge steep sided pile of volcanic ash meaning that for every step forward we would slip back a half step. It was completely exhausting and we all agreed later that it was physically the hardest thing we had ever done. We eventually reached the summit around dawn but the cloud was so thick we could see nothing and given the piercing wind and cold we were all eager to turn around and head back to camp. Coming down was fast, very fast. I slipped and slid my way down, falling over a number of times. It was almost impossible to stop. Fortunately we all managed to steer away from the sheer drops along the edge of the path. Reaching camp in time for breakfast we then packed up and began the long 7 hour trek back to civilisation via the Sembalan Lawang exit. The clouds started to clear on the way down. A word about the porters. 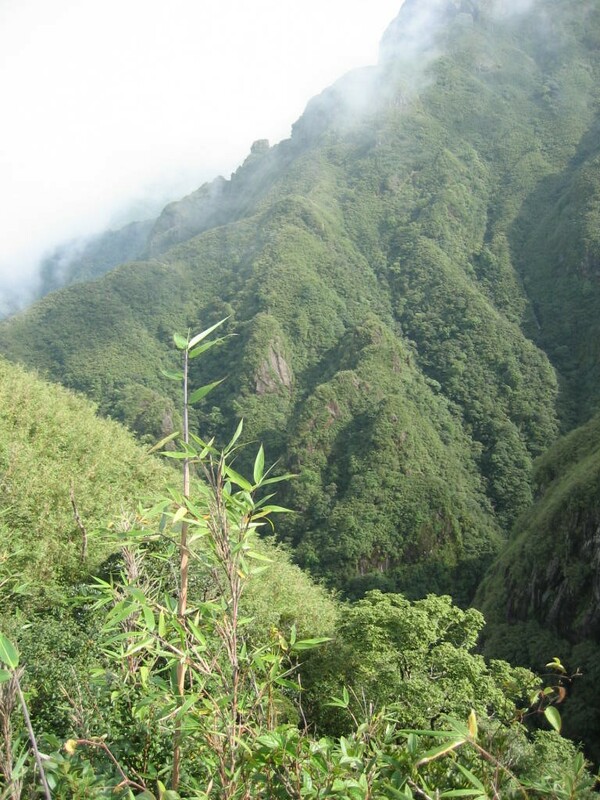 Our party of 6 were looked after by 2 guides and 5 porters who carried all the camping and cooking equipment and food in baskets hanging from stout bamboo poles. 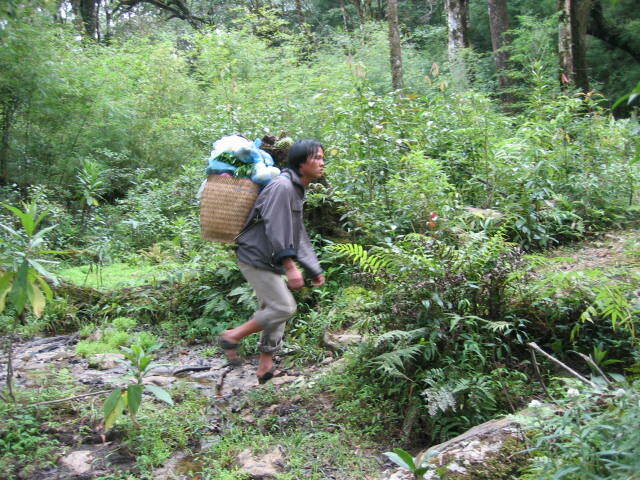 The porters wore flip flops on their feet as they galloped up and down the mountains. Their stamina and agility was impressive and their cooking skills were good too. They turned out dishes like gado-gado, banana pancakes, fried rice and noodles. 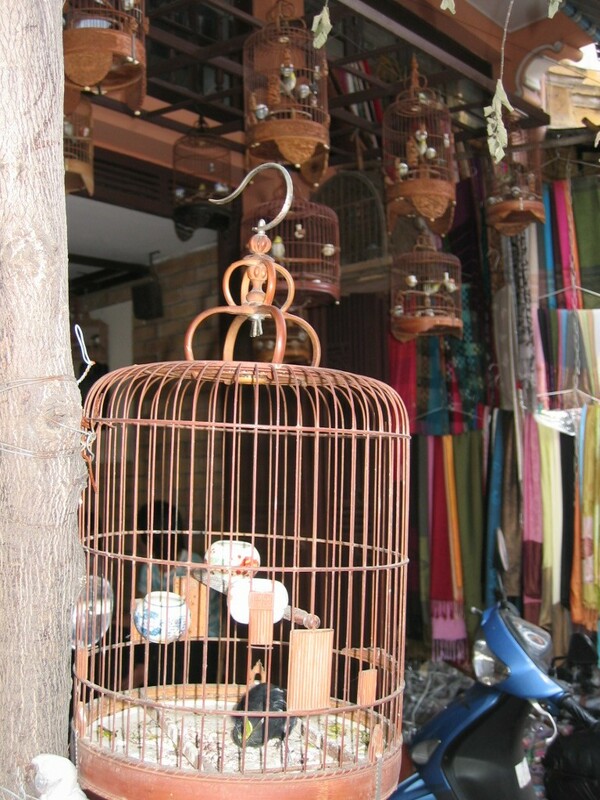 They certainly earned their tips of 150,000 rupiah each (about USD15). 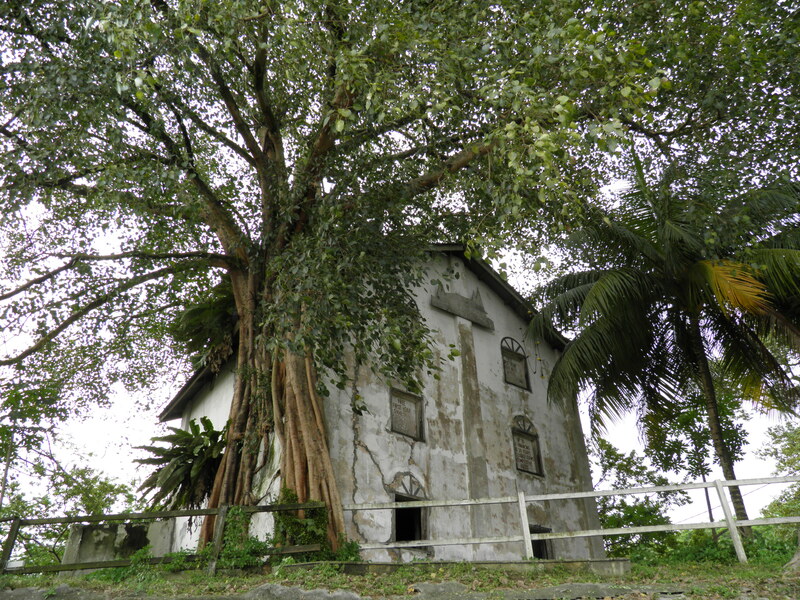 This interesting house was spotted near Kajang in Selangor, Malaysia. In a Malaysian garden, it pays to keep on top of the weeds before they get on top of you! 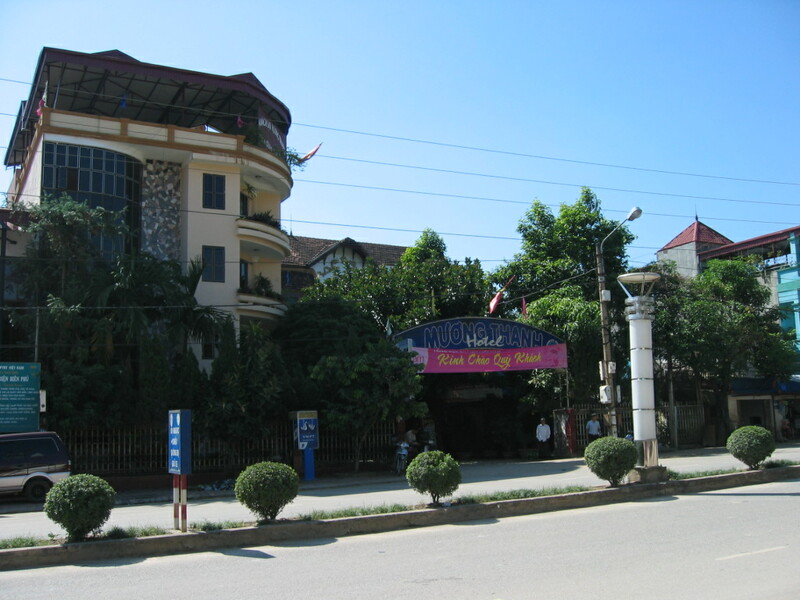 While looking around the Muong Thanh Hotel in Dien Bien, in northwest Vietnam, we came across the cruel practice of bear bile farming. The bear cages were located behind the blue wall. Behind a wall next to the swimming pool were half a dozen cramped cages, each containing a sad looking black bear. The bears had catheters sticking out from their stomachs so presumably they were being kept for the purpose of extracting bear bile which is supposed to be beneficial in treating various ailments including impotence. Why, in this age of Viagra, it is still necessary to torture poor bears in this way, I’ll never understand. Piles of foul smelling kitchen slops had been poured onto the floors of the cages. The more disgusting the food, the better the bile production perhaps? 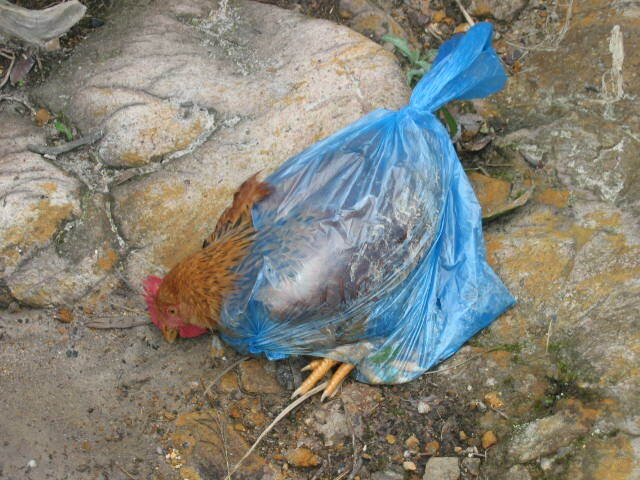 My friend reported this matter to the Hanoi office of the World Wildlife Fund. Perhaps the operation has since been closed down but I am not optimistic the bears would ever be released. 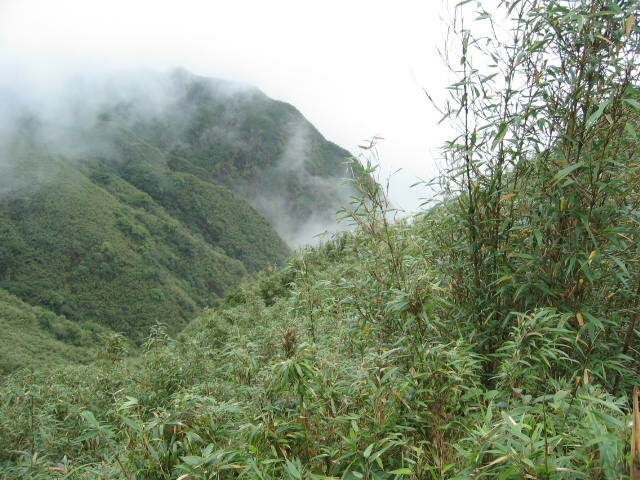 Vietnam has few places where bears could be allowed to roam free without endangering the public. They would either be killed by frightened villagers or slaughtered for their skins and body parts or recaptured by greedy bile merchants. All very sad. When we were planning our trip to Sapa and Mt. 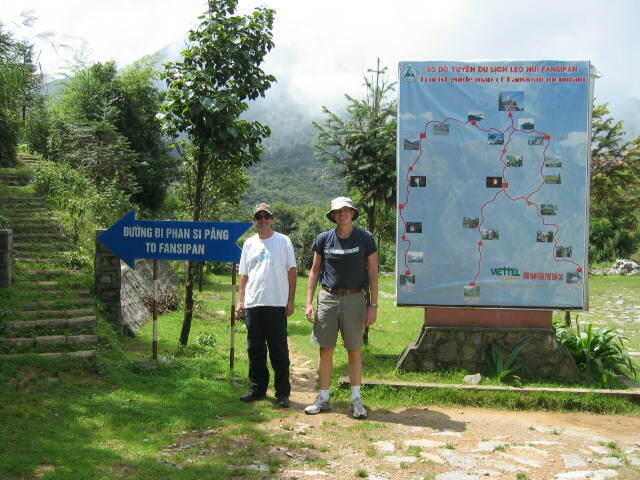 Fanxipan we hit upon the idea of extending our tour by taking in Dien Bien, scene of the decisive defeat of French forces by the Vietnamese in 1954. This epic battle brought about the end of France’s colonization of Vietnam and triggered America’s involvement in the region, which culminated in the Vietnam War. 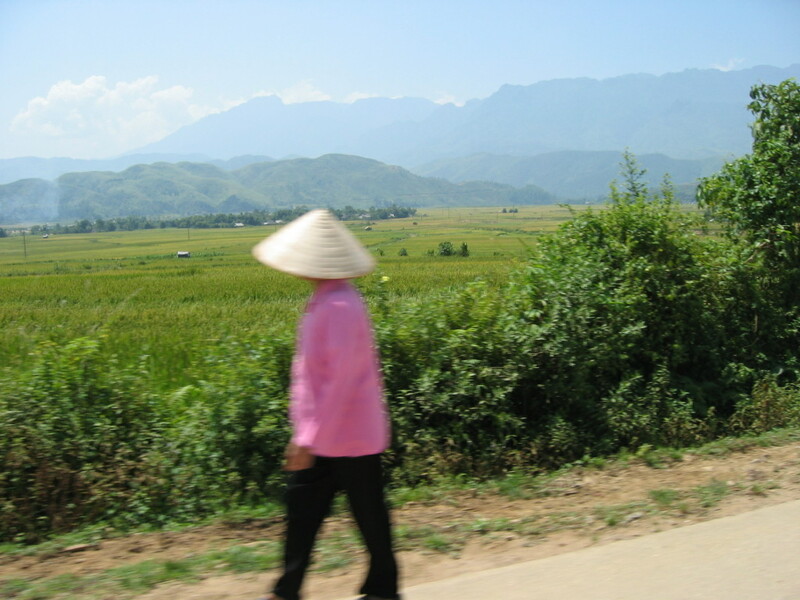 Dien Bien is located very close to the border with Laos and although it looked close to Sapa on the map, the journey by car took 11 hours through stunningly beautiful rural landscapes. On the road from Sapa to Lai Chau. 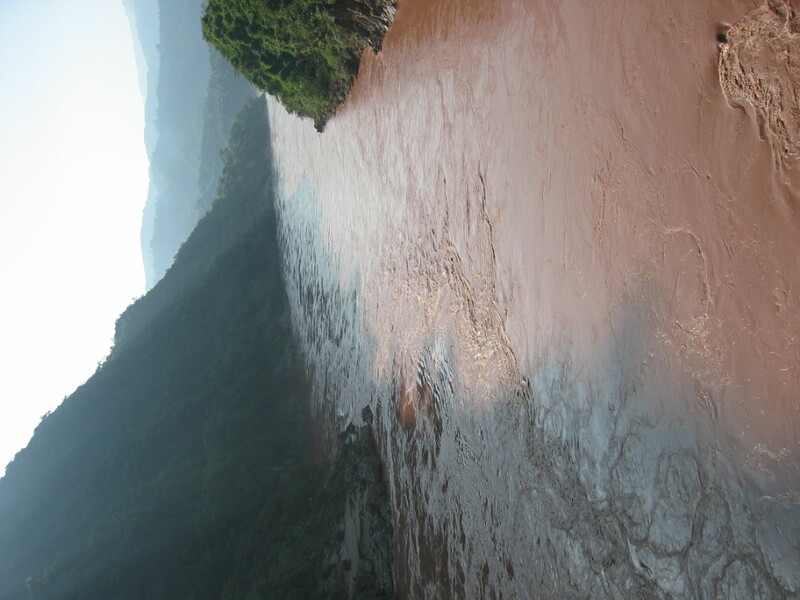 The Black River en route to Dien Bien Phu. 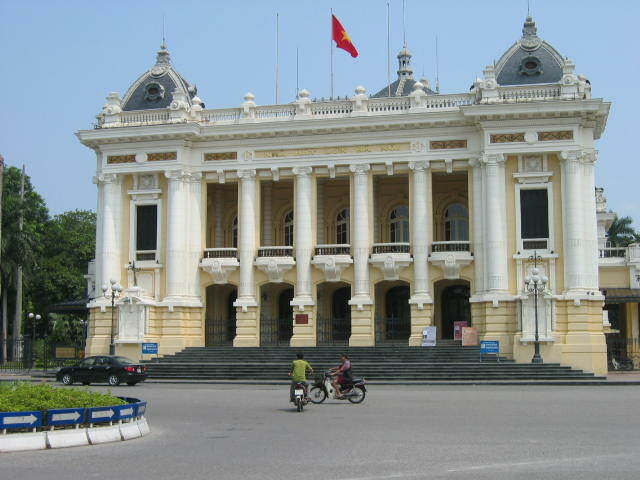 Dien Bien seemed a quiet town. 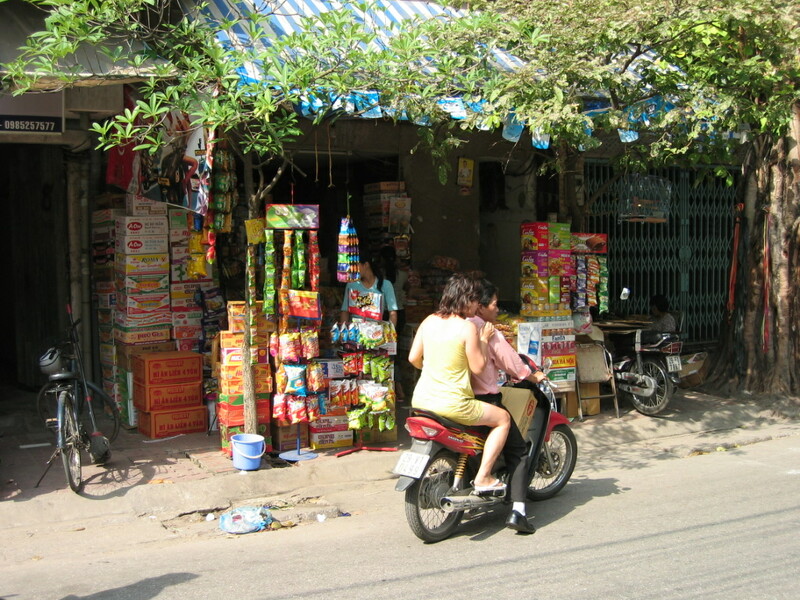 Dogs lay scratching themselves in the middle of the road, untroubled by the occasional motorbike or commercial vehicle. Dien Bien seemed a bit of a sleepy place. The architecture was rather odd. 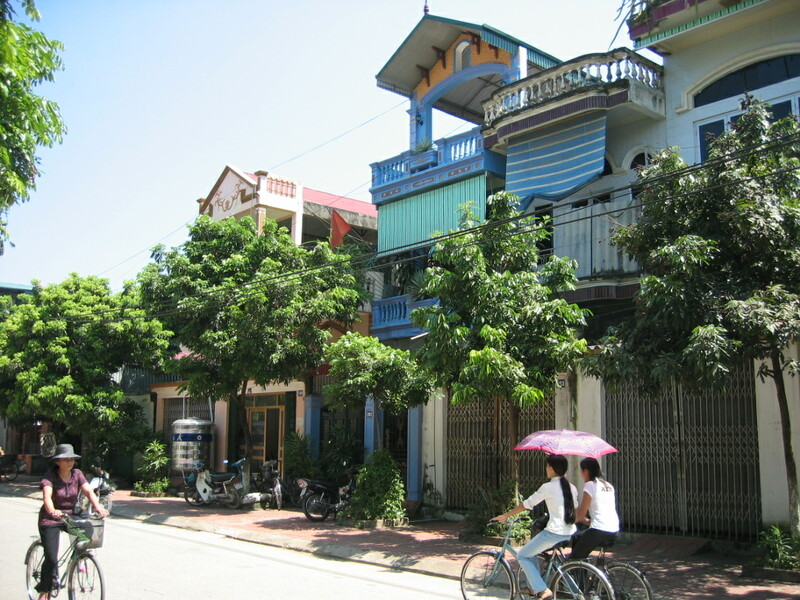 Narrow three or four storey houses with lots of fancy embellishments. The hotel was comfortable enough. 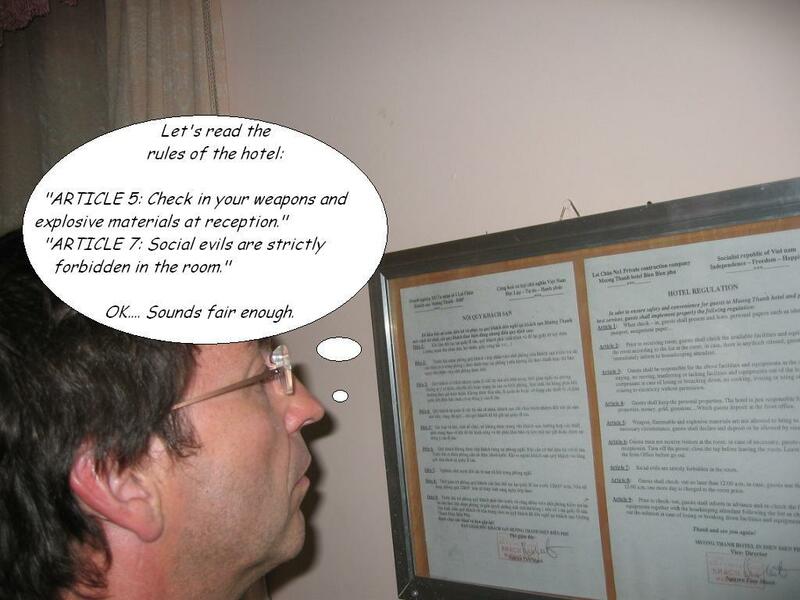 I guess I'll have to confine my social evils to the lobby then. "This is minibar." 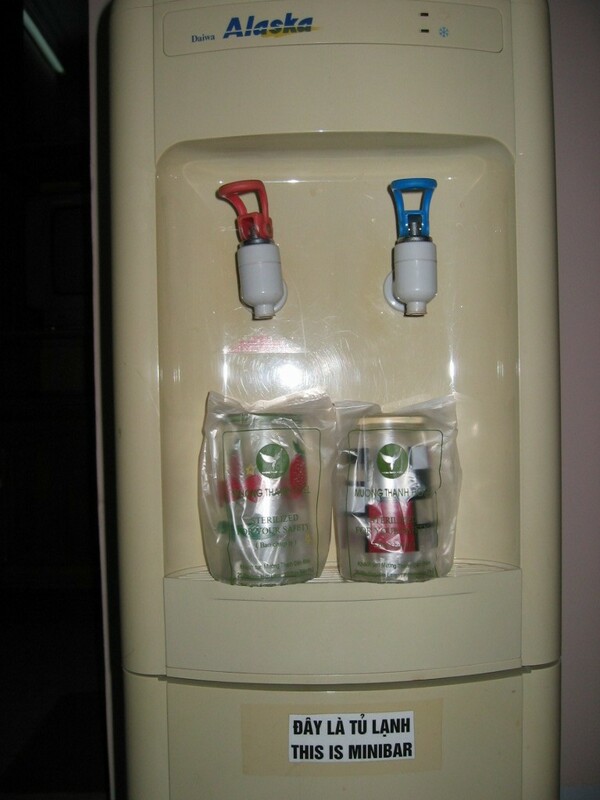 Ideal for thrifty travellers; free, unlimited drinking water. 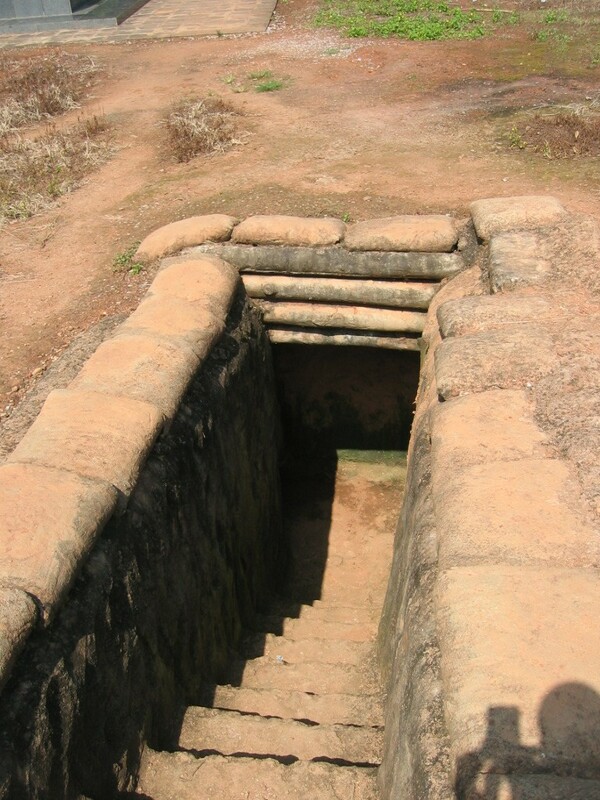 A number of the battlefield positions have been preserved. 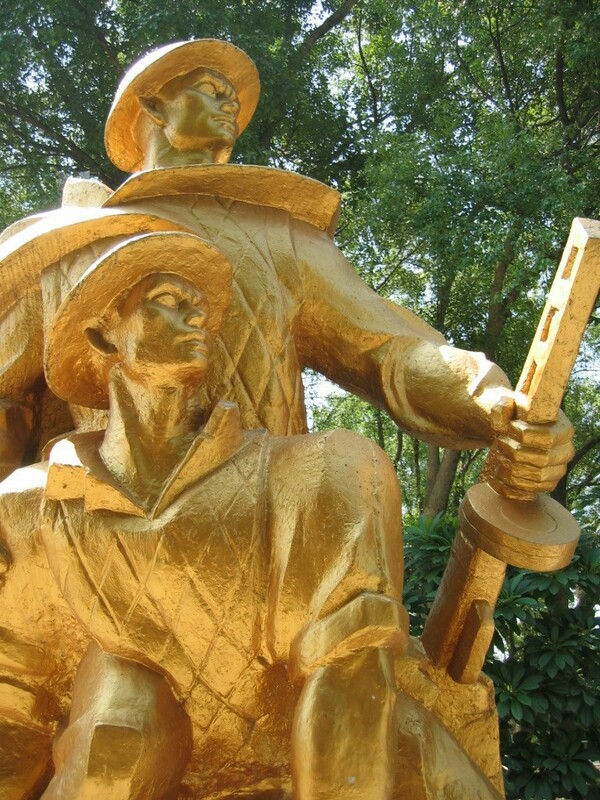 The French dug themselves in to withstand Vietnamese bombardment. 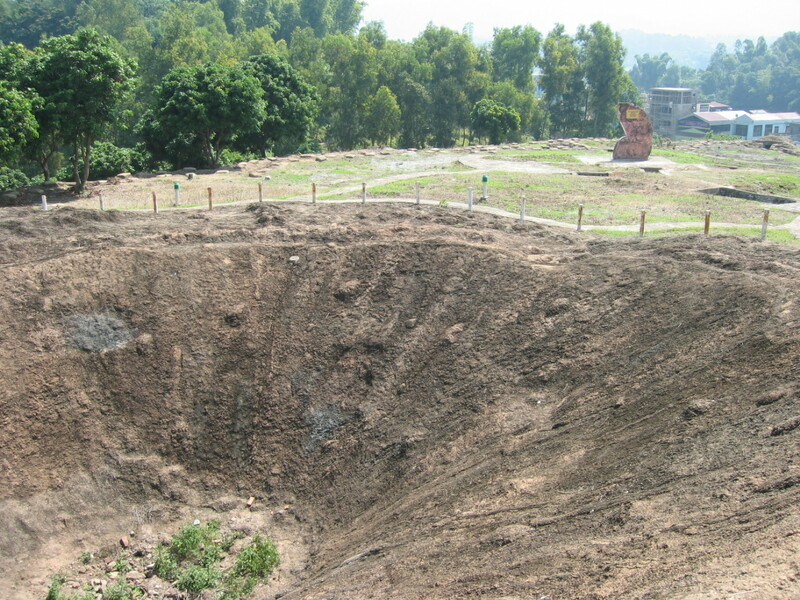 Massive craters left by mines exploded under French positions still remain. A French tank has been preserved. 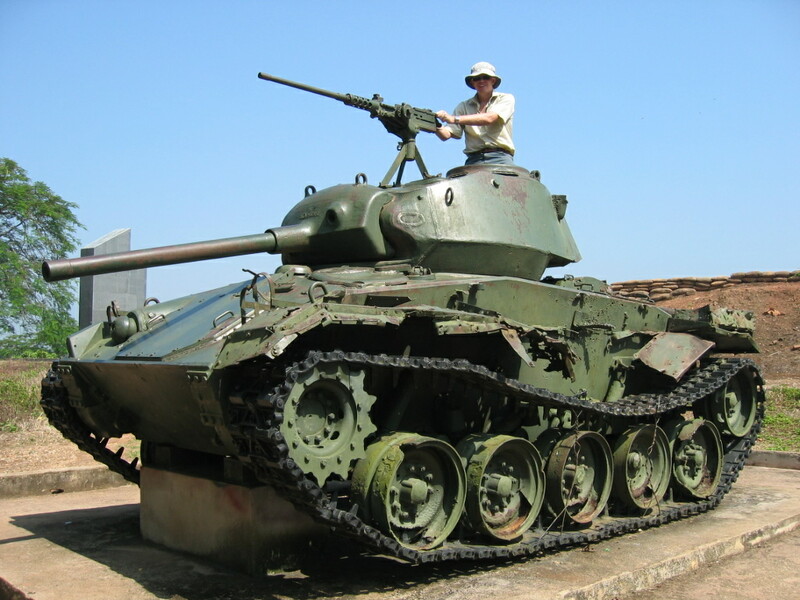 They only had 10 tanks to defend Dien Bien. A monument watches over fallen comrades in one of the military cemeteries. 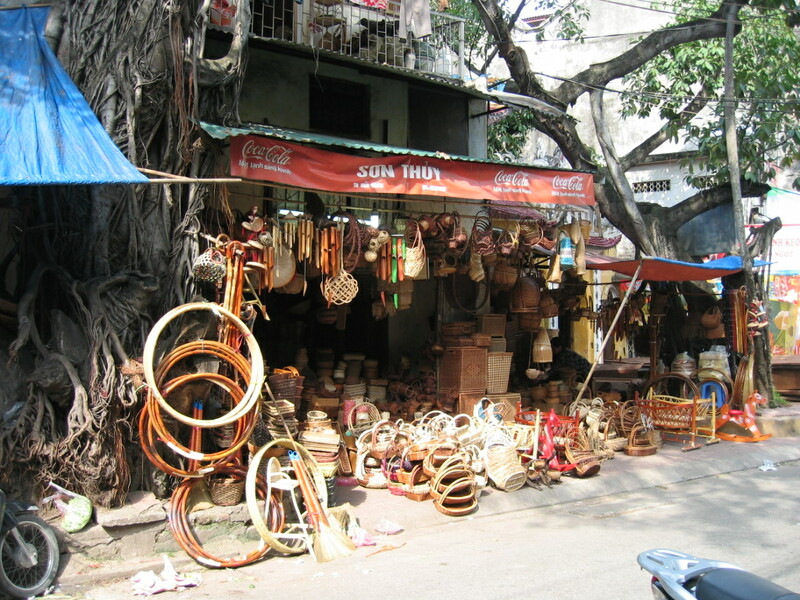 Apart from the historic battle relics there is little to attract the foreign tourist but I did manage to pick up a couple of T-shirts at bargain prices. 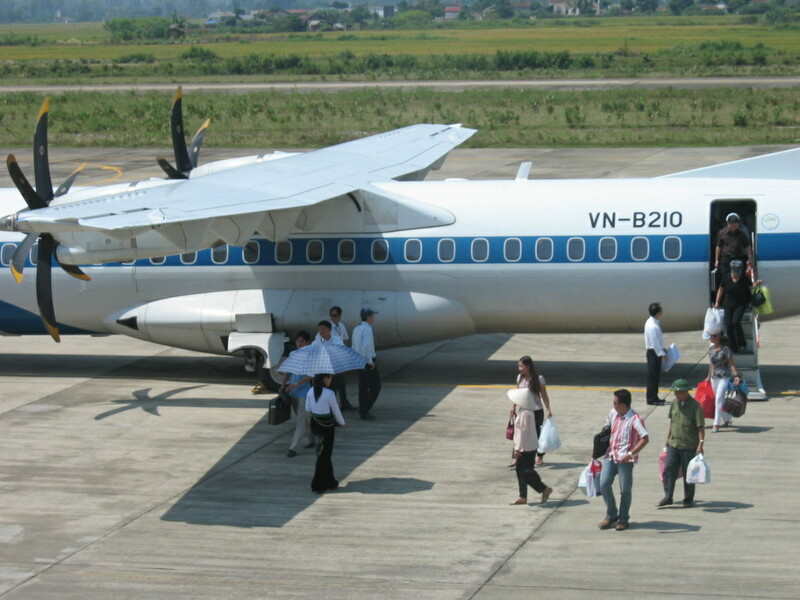 The airstrip which was key to the French strategy is now part of Dien Bien airport. 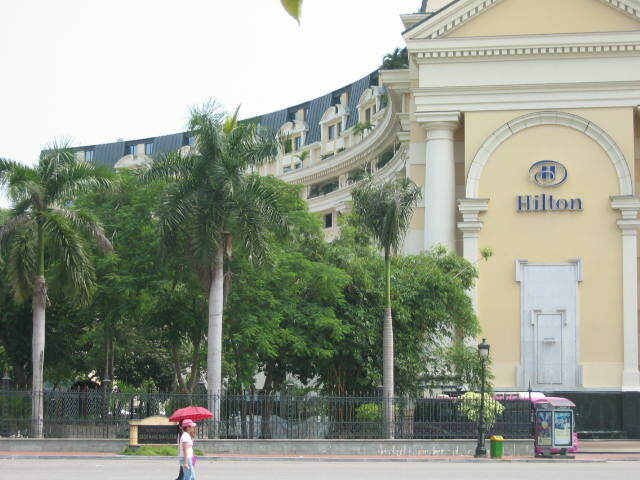 Time to return to Hanoi. A seat at the front of the plane but not first class. 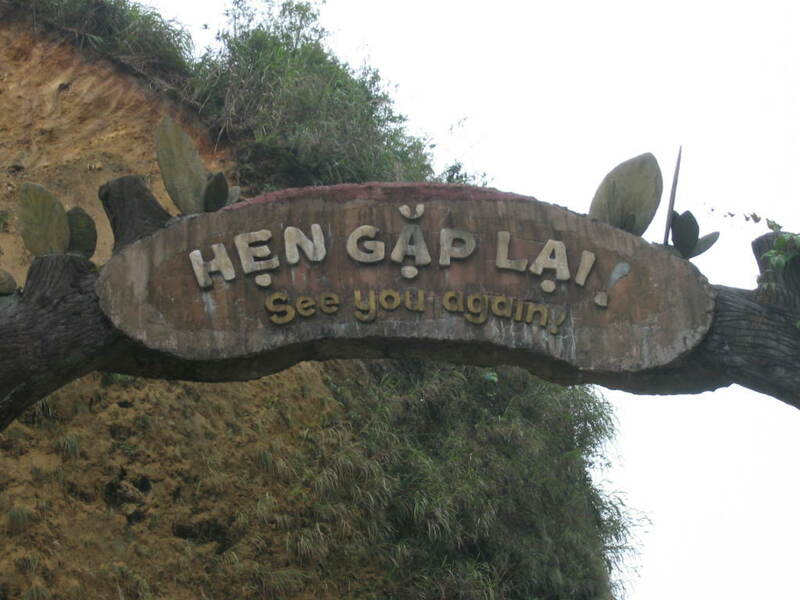 It was time to depart for Sapa which is a hill town in northern Vietnam and the jumping off point for people who are mad enough to want to ascend Mt. Fanxipan. 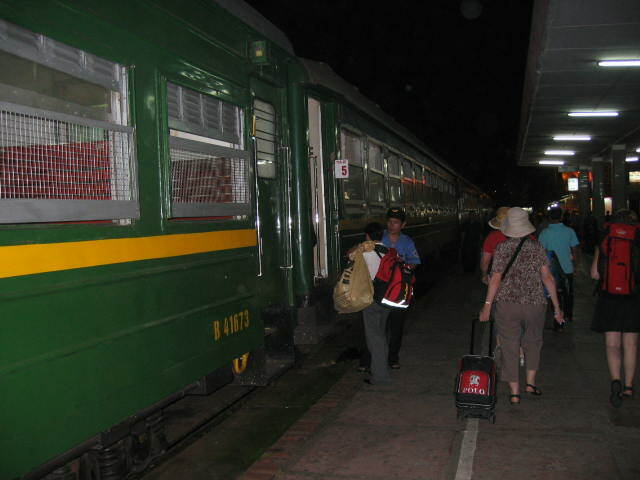 We took the overnight sleeper train from Hanoi to Lao Cai, close to the border with China, a journey of about 8 hours. 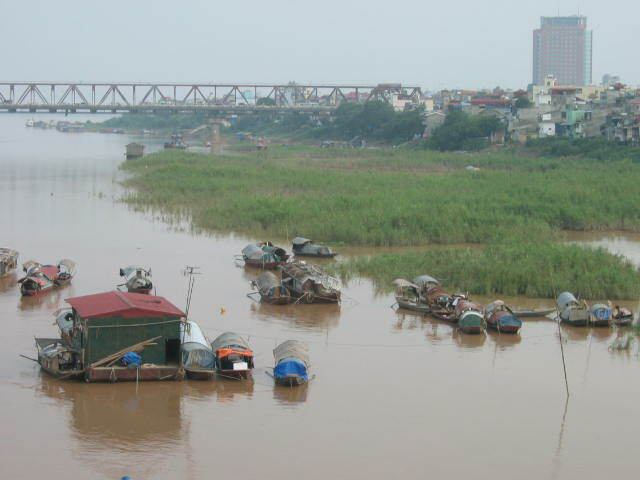 To travel on a Vietnamese sleeper train sounds exciting and adventurous but it is probably an experience that I will not be looking to repeat in a hurry. The train carriage looked comfortable enough. Clean bedding and soft mattresses were provided in our 4 berth, first class compartment. But the whole journey was in the dark so there was nothing to see and the carriage jerked and juddered and was very noisy so sleep was next to impossible for me. 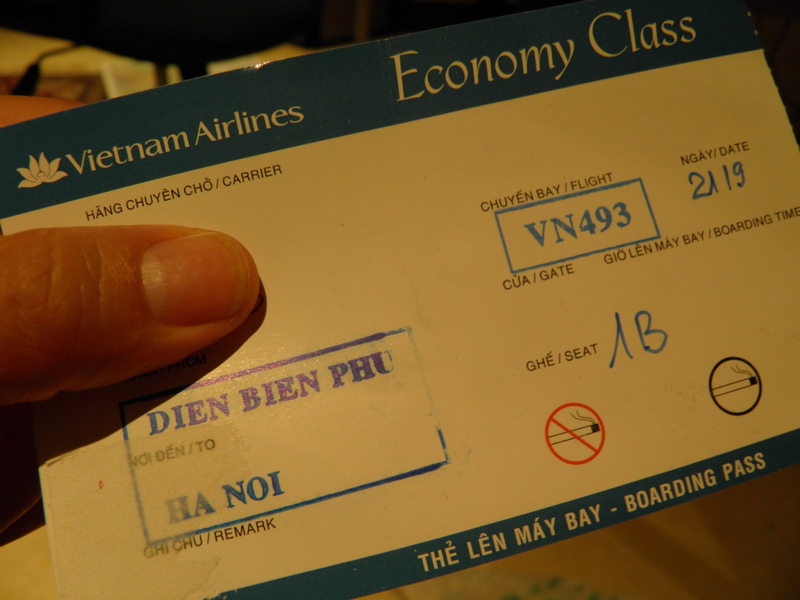 Nearly all the other passengers were foreigner tourists – Vietnamese probably know better and take the plane! Arriving at Lao Cai station at 6am, feeling pretty tired, we took a van to Sapa, dropped off some bags and a couple of hours later were transported to Tram Ton or Heaven’s Gate, the starting point of the Fanxipan climb. Mt. 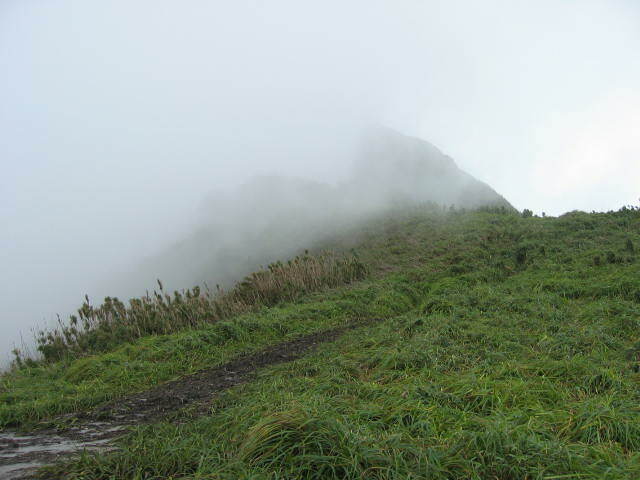 Fanxipan , 3,143 metres, on a clear day. Mt. 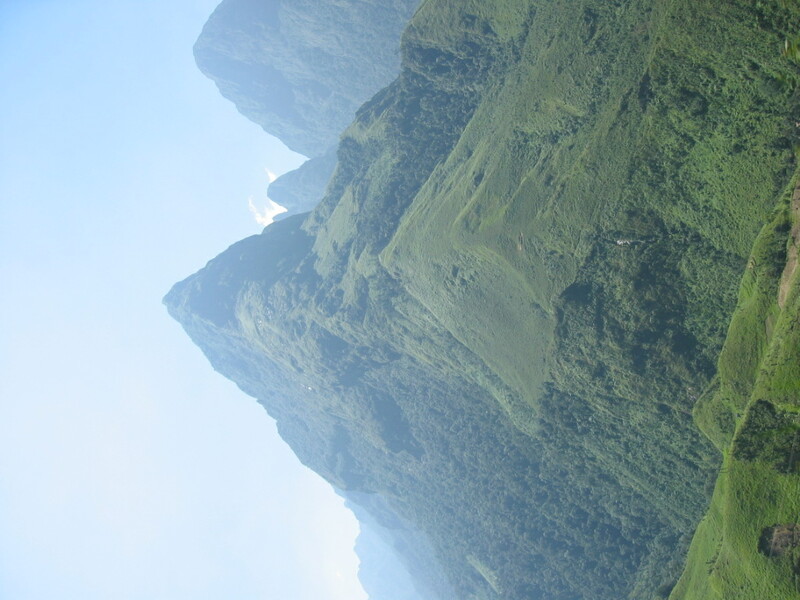 Fanxipan (sometimes spelt as Phan Si Pan) at 3,143 metres, is the highest mountain in Vietnam, or, even more impressive sounding, the highest in Indochina. Since the starting point was already over 2,000 metres I was thinking how hard can this be? The answer was very hard! The climb started here but the first half hour or so was down hill! A guide and porter were provided. The porter carried everything we would eat for the next 2 days in his basket. After a gruelling afternoon’s hike we arrived at our luxurious base camp accommodation to rest up for the night. 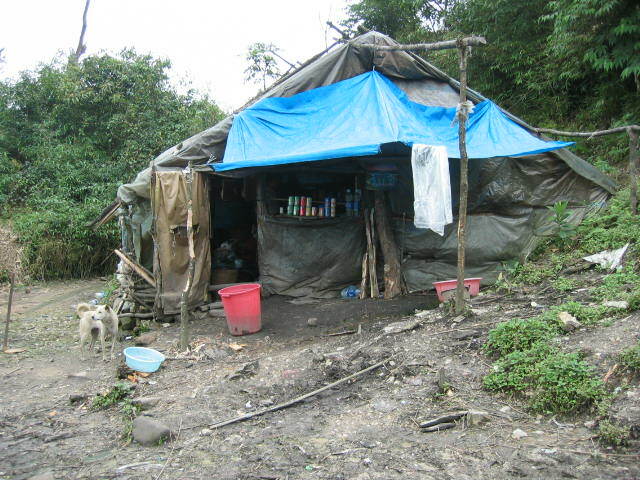 We had to spend two miserable nights in this shack (one night on the way up and one on the way down). 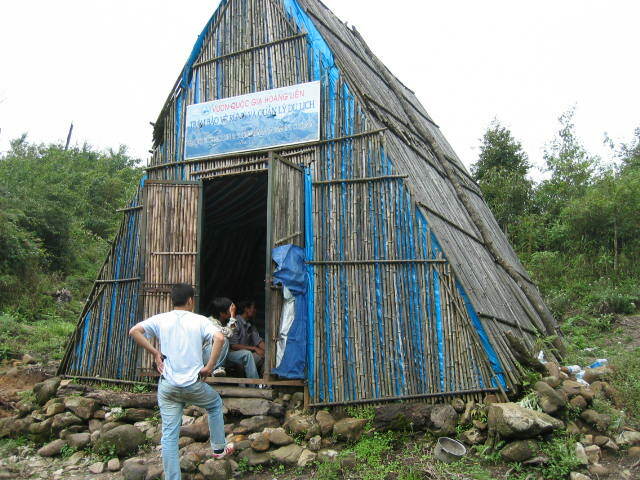 The hut could accommodate up to 16 people sleeping sardine-like. 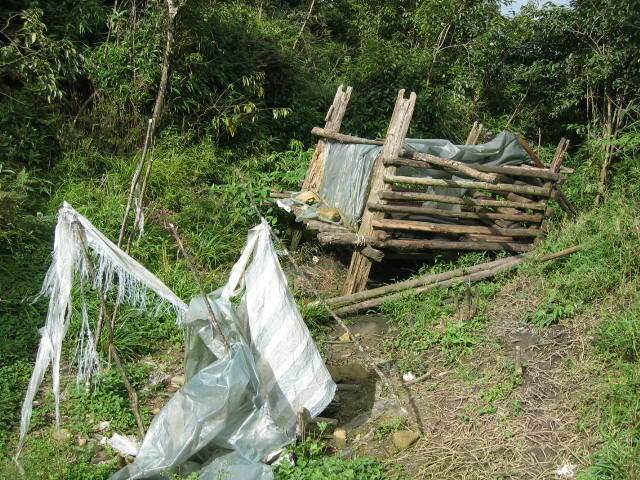 My grubby sleeping bag was located underneath the leak in the roof meaning I was cold and wet as I lay awake on the uncomfortable bamboo slatted floor. The sleeping bag – what vile instrument of torment. The guy who invented the sleeping bag must be the same person who invented the straight jacket, and for the same reason – to drive the poor occupant nuts. Not enough room to curl up, when I rolled over the top half twisted but the bottom half stayed put. It started off cold and clammy and then became hot and clammy without ever being just right on the way. At least the food was good, amazingly so given the primitive conditions in the ‘kitchen’. The kitchen, dining and bar facilities at base camp. 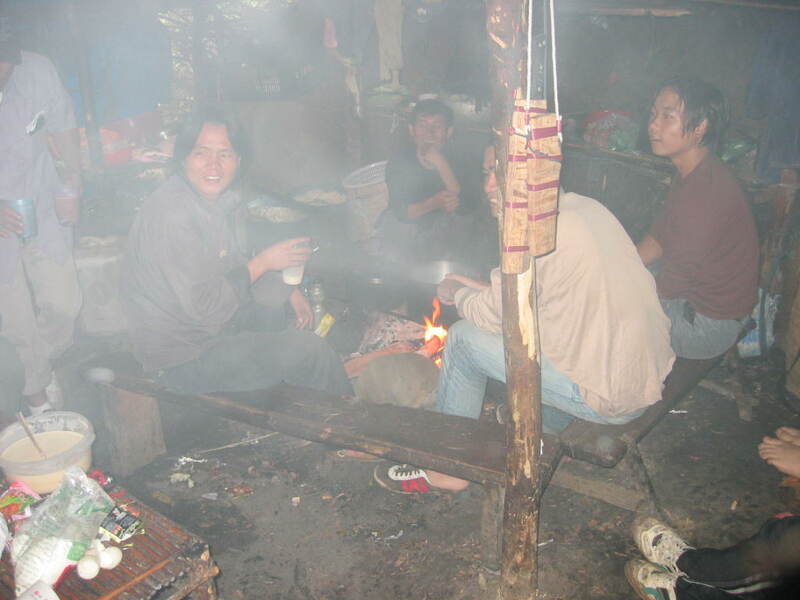 The porters and guides managed to knock up an impressive meal which was washed down with generous slugs of rice wine. Hell’s Kitchen. The cosiest place in base camp. The worst aspect of base camp had to be the toilet facilities which consisted of a wooden platform built over a pit containing a large pig who would eat the ‘droppings’. Eco-friendly, I suppose, but I won’t be eating pork again. The disgusting toilet at base camp. The pig lives under the wooden structure. 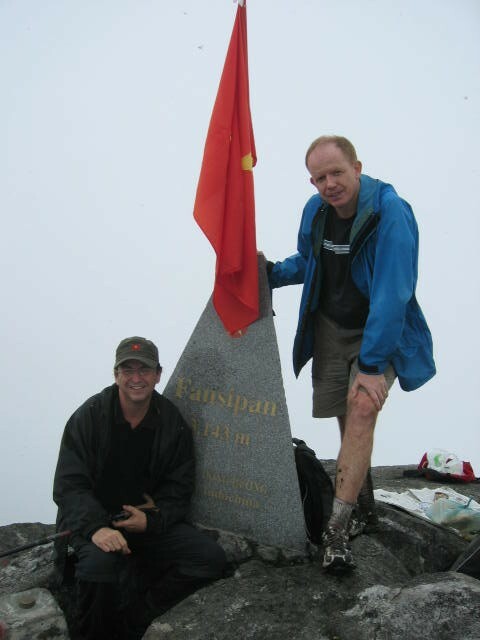 After an early breakfast we began the final ascent to the summit of Fanxipan. It was one of the most exhausting things I had ever done. Mud, mud everywhere, oozing over the tops of boots. Muddy trousers, caked boots, shirt soaked with sweat, glasses steamed up, visibility zero. Lungs wheezing, heartbeat audible, leg muscles aching, hour after hour. What were the feelings on reaching the top? Not really exhilaration. Relief to get a rest but tinged with anxiety about having to go all the way back down again. It was not the best view in the world due to poor visibility but when the clouds parted there were some impressive vistas. On the way down my knees were buckling and I had to be careful not to slip and injure myself. At least my breathing was easier going down. Finally back down to the bottom feeling strangely invigorated for several hours afterwards, perhaps due to the after-effects of prolonged heart pumping exercise and the intake of super fresh air. 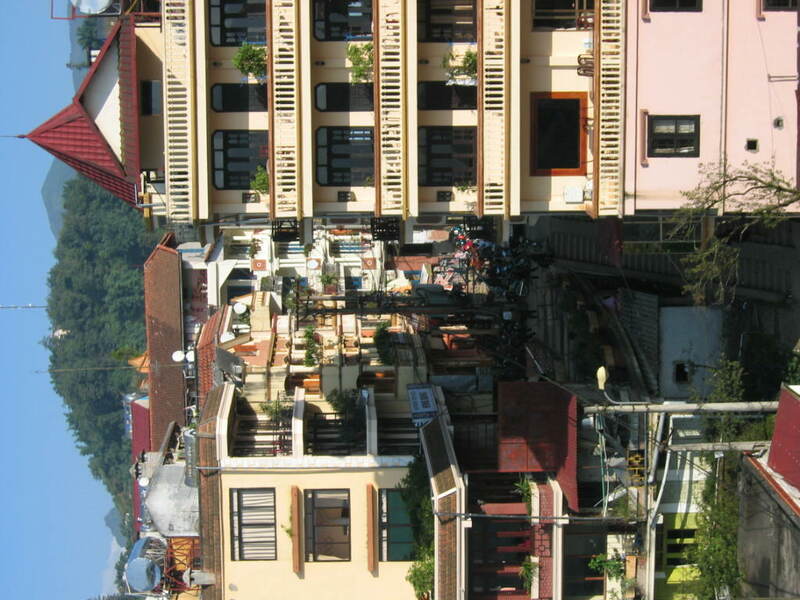 The quaint and touristy hill town of Sapa. 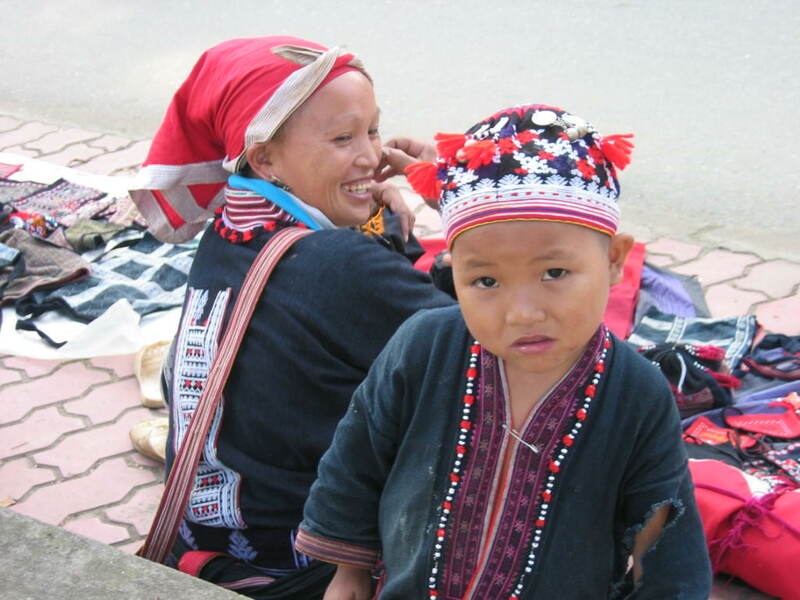 Back in civilisation, we were able to explore some of the charms of Sapa while recovering for the next stage of our travels. 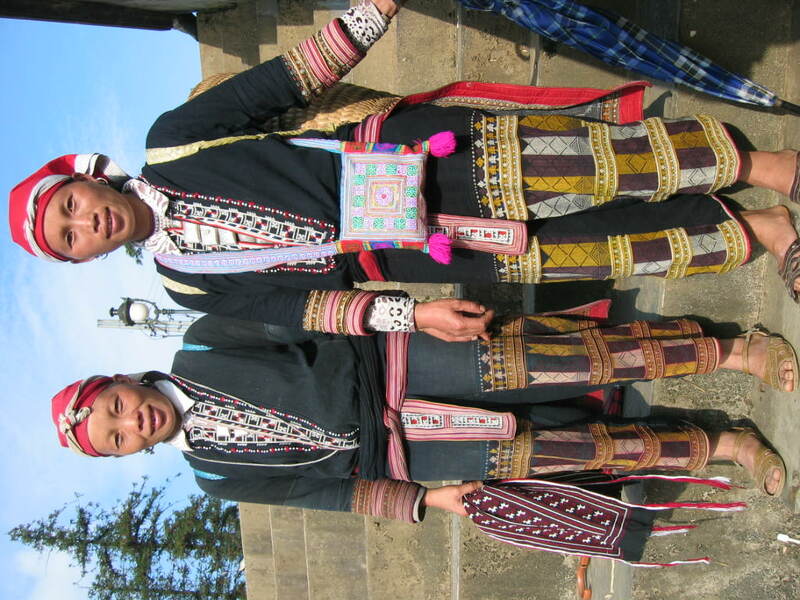 This region of Vietnam is home to a number of ethnic minorities such as the Hmong people who are happy to pose for tourists in their traditional dress and sell examples of their skilful handicrafts. The plan was simple enough. 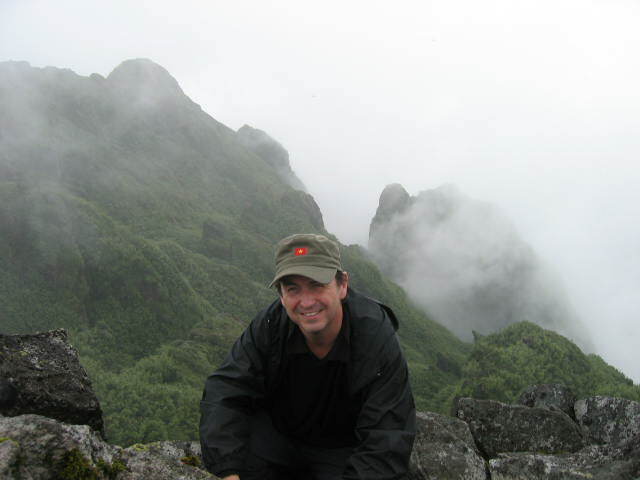 A couple of days in Hanoi , then take the overnight train to the hill resort of Sapa, then 3 days to climb Mt.Fanxipan and get back down again, then drive to Dien Bien Phu for 2 nights before flying back to Hanoi. 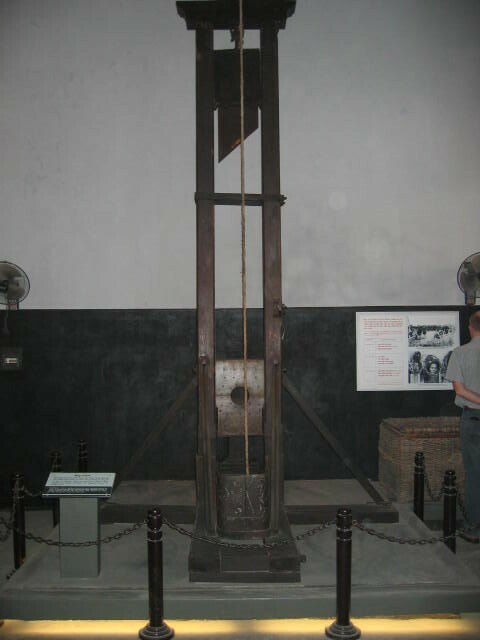 First stop in Hanoi, the ‘Hanoi Hilton’. 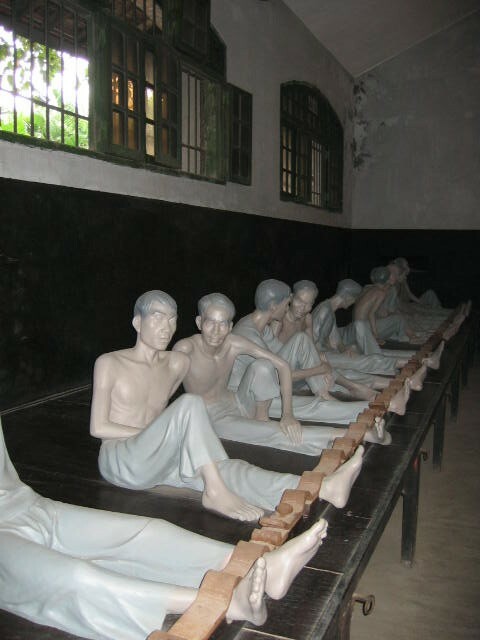 Hoa Lo Prison Museum or ‘The Hanoi Hilton’. 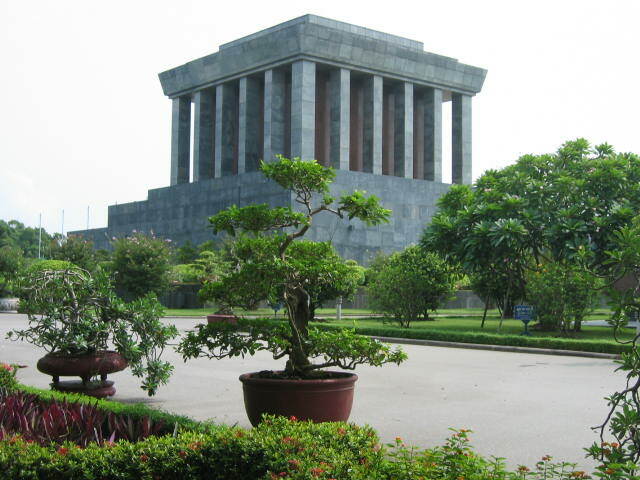 This notorious prison held American pilots who were shot down over North Vietnam during the Vietnam War (or the American War as the Vietnamese call it). 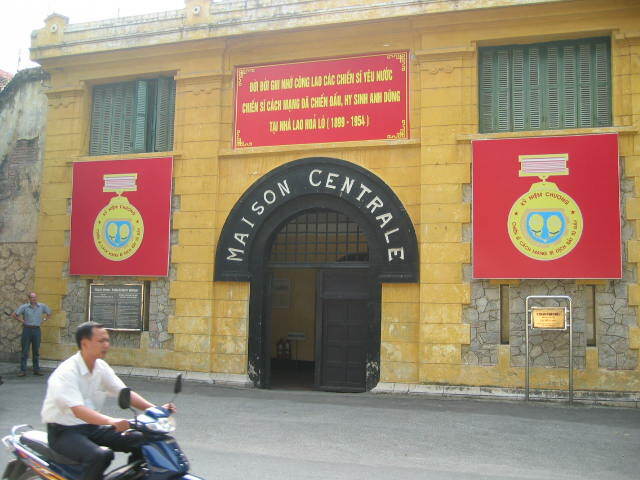 The POW’s nicknamed this prison the Hanoi Hilton. One of the more famous inmates was John McCain (recent US Presidential contender) whose flying suit was on prominent display. 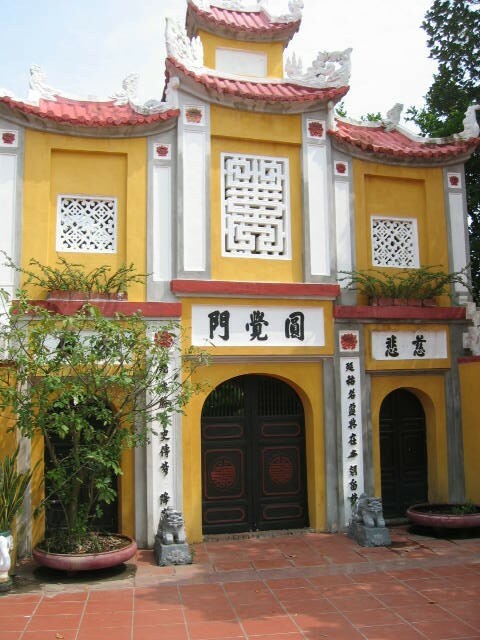 During the French colonial era the prison housed Vietnamese political prisoners and criminals in harsh conditions. 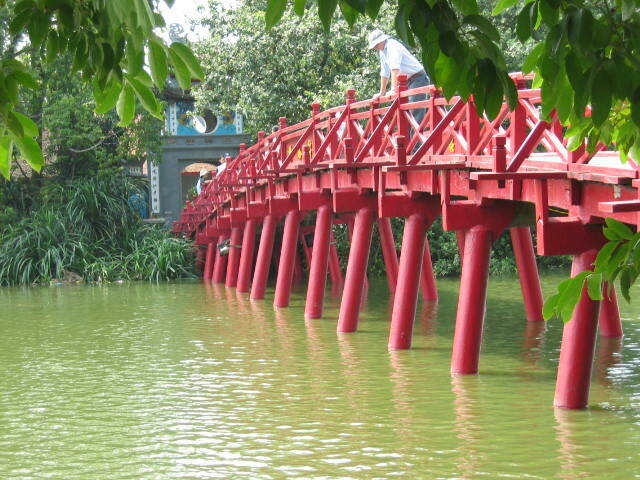 There are plenty of famous attractions to see in Hanoi. 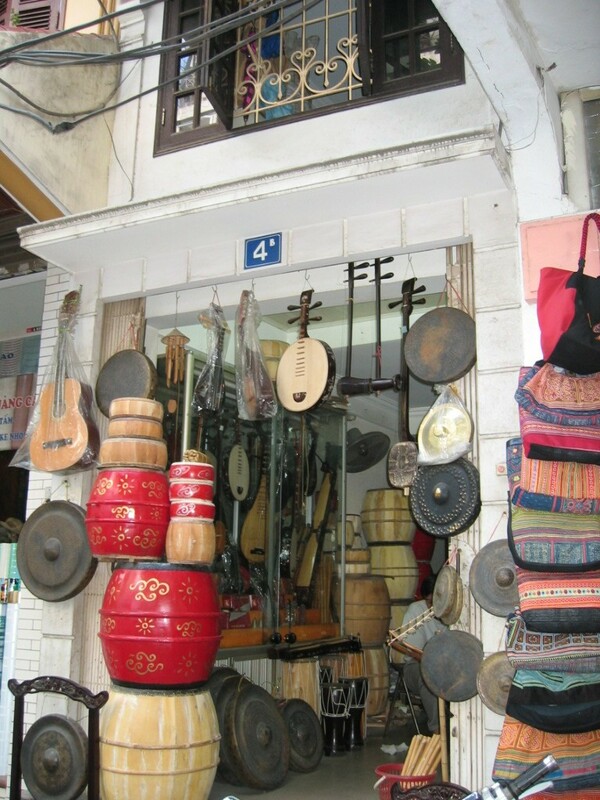 The streets in the Old Hanoi Quarter are full of character, colour and energy. 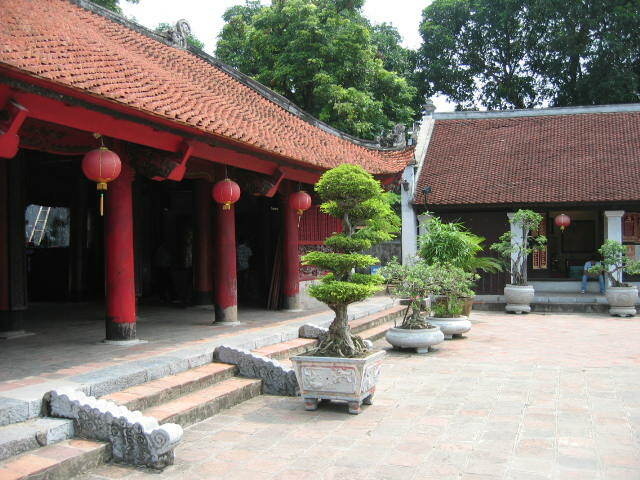 There was talk about Old Hanoi being recognised by UNESCO as a world cultural heritage site but it seems there are no plans to proceed with that proposal. Let us hope that this district can escape the developers’ wrecking ball for many years to come.